Today we’re sharing money tips to give your finances a makeover. The new year is well under way. If you’re like most people, you made some lofty resolutions to change your spending habits and start saving more money this year. Now that we’re a couple months into the year, maybe you find yourself slipping back into old habits? Check out these money tips that will make good changes in your financial situation throughout the rest of the year and beyond. 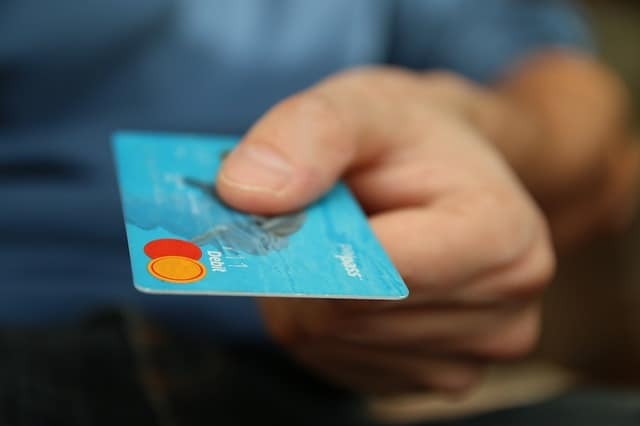 One of the best money tips to make over your finances is to stop using credit cards. Pay cash whenever possible, and if you don’t have cash, then don’t buy the item. Put the credit cards away so you won’t be tempted to use them and then stop using them. Pay down those debts and enjoy the extra cash you will eventually have. We all do it — robbing Peter to pay Paul. If you’re not sure about that adage, it simply means taking money from one place to pay a bill elsewhere. For example, you’re short on your water bill this month, so you use your grocery money to pay the bill. That results in you either not eating, or taking the car payment money to buy food. Next you will need to take the money set aside for the electric bill in order to pay the car payment. It’s an endless, vicious cycle that gets you nowhere except in the hole. Try to create a nest egg that will help you pay those bills so you aren’t constantly getting yourself behind. Try to pay your bills on time in order to avoid late fees. Those late fees may not seem like a big deal, but if you have 20 bills every month and are late on each one, it can add up. Imagine if each bill had a $5 late fee (late fees are usually much more than that, though). That equals an extra $100 per month that you are paying in fees. Do everything you can to pay as many bills as possible on time to keep those late fees away. If you haven’t been serious about saving money before now, it’s time to get serious. You can’t get yourself into a better financial position if you don’t save anything. Even $5 a week is better than nothing. Make the effort to save — no matter the amount — and you won’t be sorry. If you have debts — whether they are credit cards, personal loans, mortgages, vehicles, or medical bills — pick out the smallest to tackle and pay off this coming year. Choosing the smallest debt won’t be as overwhelming and won’t take as long. Break the balance down into 12 equal payments then start now to pay it off by this time next year. Should You Pay off The Debt of a Future Spouse? Following these money tips to makeover your finances now will help get you in shape so you can really stick to your goals. Plus, even if you do slide a bit, they’ll make next year’s resolutions a lot easier to manage! Do you have any money tips to help makeover your finances? Share in the comments! All great tips. We are making an effort this year to manage our money better. These are great tips! Our goal in the new year is to not use credit cards – it can be hard sometimes but it’s super nice not having that debt hanging over us! I hate late fees, it’s like giving away free money. I hate when I forget to pay something and get charged a fee, great tips. Great tips, especially borrowing where there is none. I look at CC that way, easy to rack up those charges unless you only spend what you can afford and pay off within a month. These are all great tips! Late fees can definitely add up quickly so always best to pay on time.